Excel Spreadsheet Template to prepare your Restaurant Financial Plan. 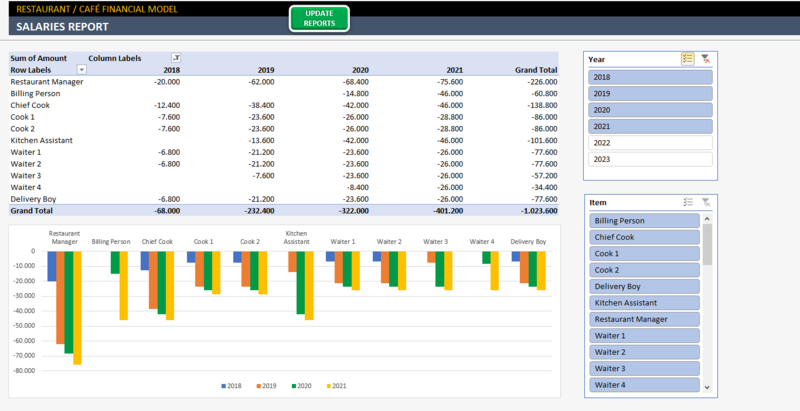 Helps you to prepare budget, input projections and run scenarios before investment. How to open a Restaurant or Café of your dreams? It needs lots of money, care and time. So, it is quite hard to have a popular restaurant with high profit all at once. For this reason, before opening your café, you should make some calculations and some budget assumptions. 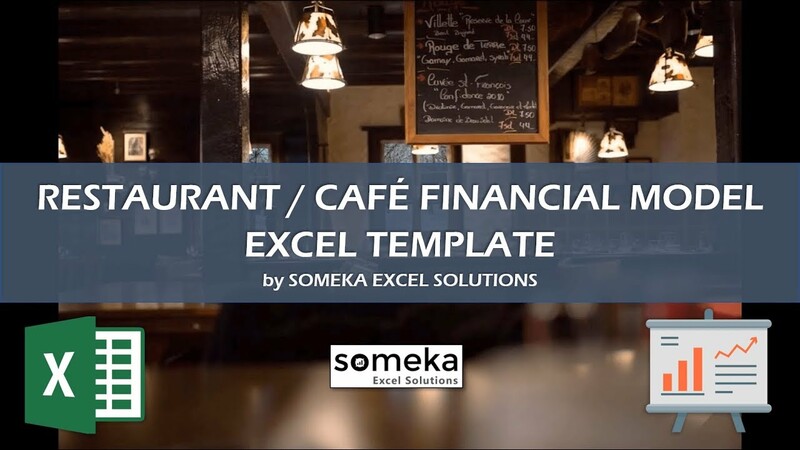 We have built this Restaurant Financial Plan Template to help you make your feasibility studies easily. And simulation of your plans with a lot of parameters like this. Therefore, you will be aware of any risk before making your investments! 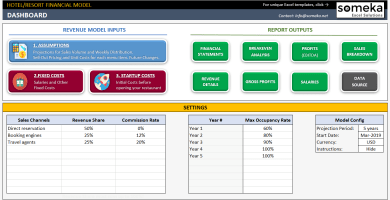 Then input your fixed and startup costs like rent, electricity, equipment and so on. 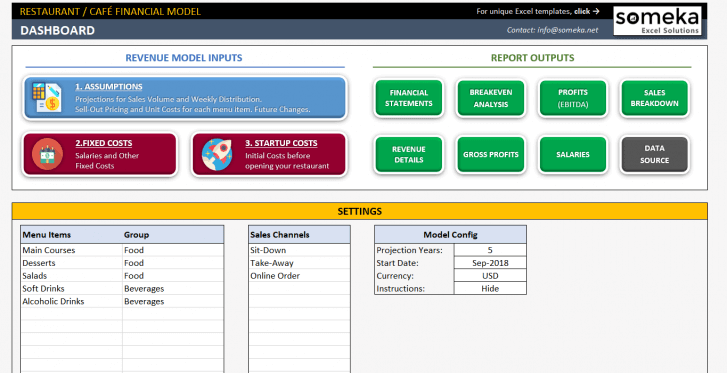 And according to your inputs, output reports such as profitability, break-even and many more will be automatically created. Finally, you can analyze the outputs to make new projections until you get satisfying results. Below, we will explain these 3 sections in detail. 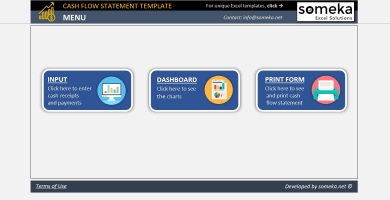 But before that, let’s start with reviewing the Dashboard section of the template. We have prepared a Dashboard section to manage this comprehensive financial model easily. Above section of Dashboard is Navigation. Below section is Settings. Here is the Navigation section. As we mentioned before, you can put the predictions to the sections of the left which is blue or red. 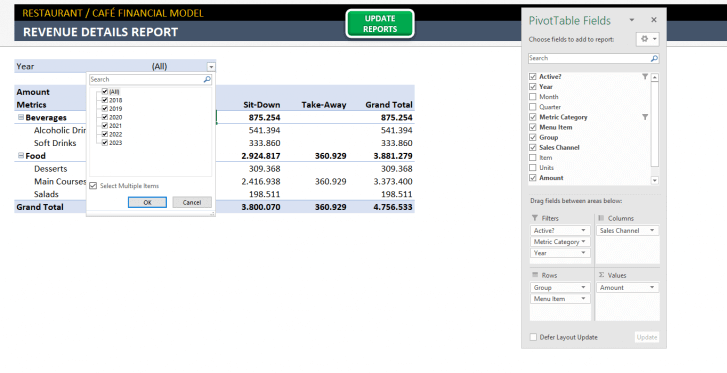 After that, output results will appear in the green sections on the right. Sales Channels: Sales channels are your delivery ways. 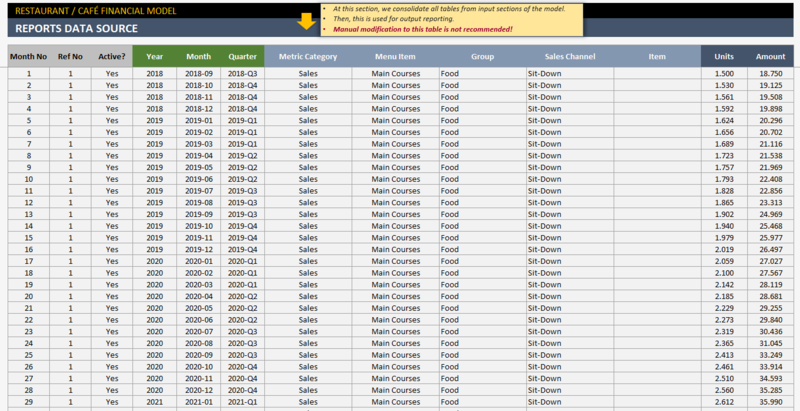 We placed 3 channels as an example: Sit-Down, Take-Away, Online order. 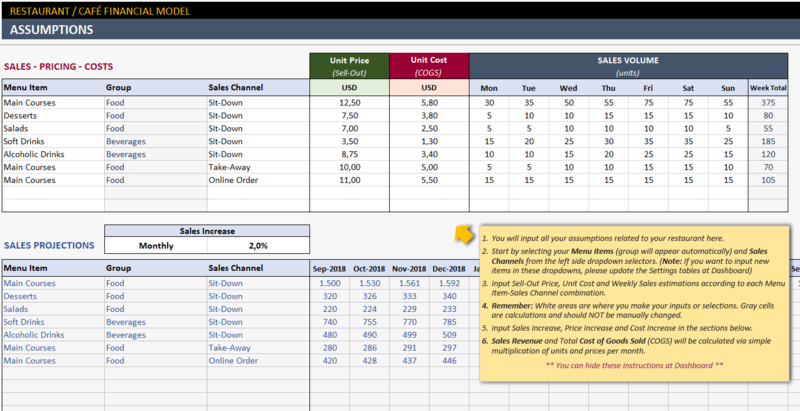 According to these sales channels, you can define different pricing strategies for a product. For example, when customers prefer Take-Away service delivery, you can sell it at a lower price. As a result, these options will provide flexibility to your restaurant. You can add/remove other sales channels. 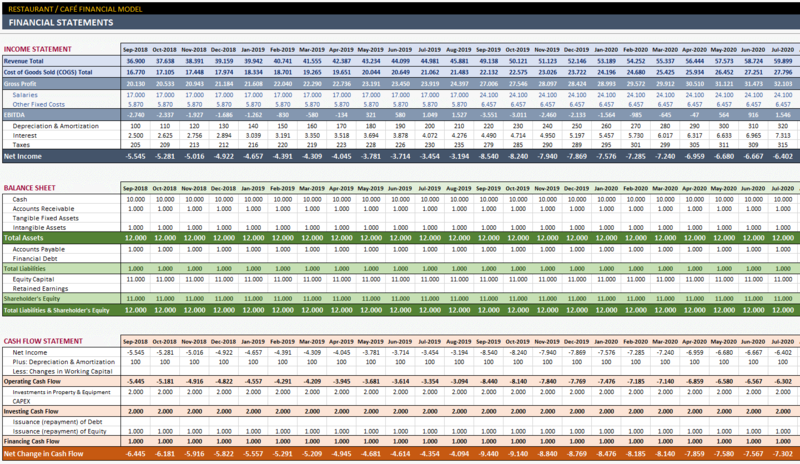 Projection Years: Projection years allow you to predict monthly Café budget from 1 to 5 years. It depends on your requirements about the feasibility period. If you want to change it, the reports will be updated. Start Date: Put here possible start date of your restaurant. Report outputs will start with the selected date. Currency: Put your currency here. 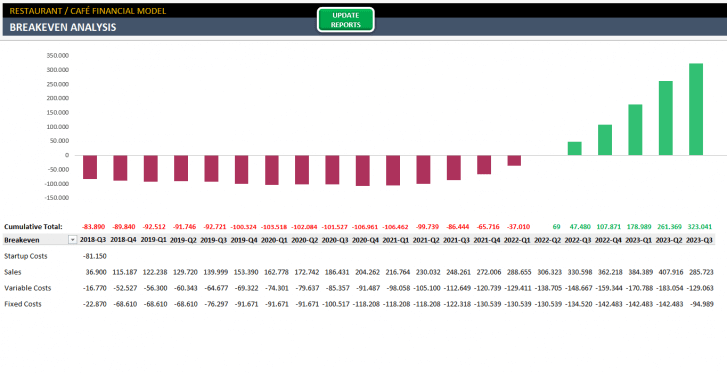 It will not change the cell formatting but it will be shown on financial reports. Instructions: You can hide/show instructions from the drop-down. That’s all about the dashboard. 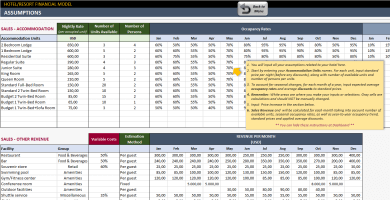 Now, let’s check three main sections of our restaurant financial plan in detail. The table will be calculated via simple multiplication of units and prices per month and it provides Sales Revenue and Total COGS results. Remember: White areas are where you make your inputs or selections. Gray cells are calculations and should NOT be manually changed. Now, we will input assumptions about fixed costs and startup costs. Fixed and Startup costs are the core concern of your restaurant budget. Understanding these costs will prevent any financial risk at the beginning and help better overall management. Salaries: Labor is one of the biggest expense of your budget (You may choose to start paying some of your labor salaries later). 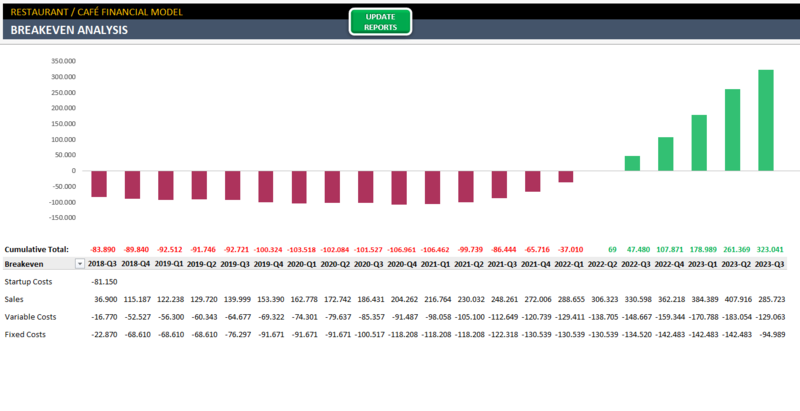 Afterwards, you can see the effects of the salaries on the Breakeven analysis. Other Monthly Expenses: Input here your other monthly costs like Rent, Advertising, Agency. During the start-up phase, it can be hard to accurately predict these costs. 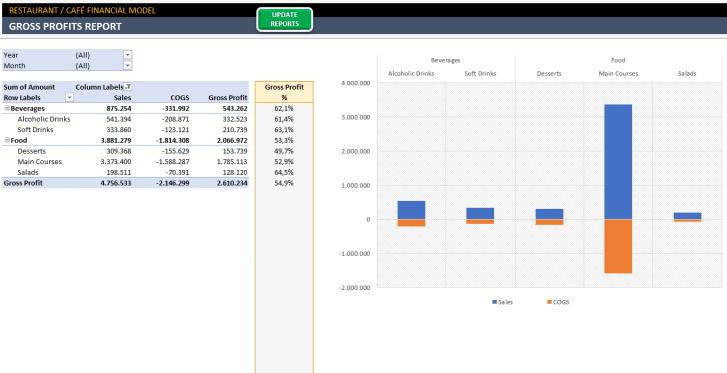 However, once you analyze the outputs, you will be able to make more accurate assumptions about your revenue. 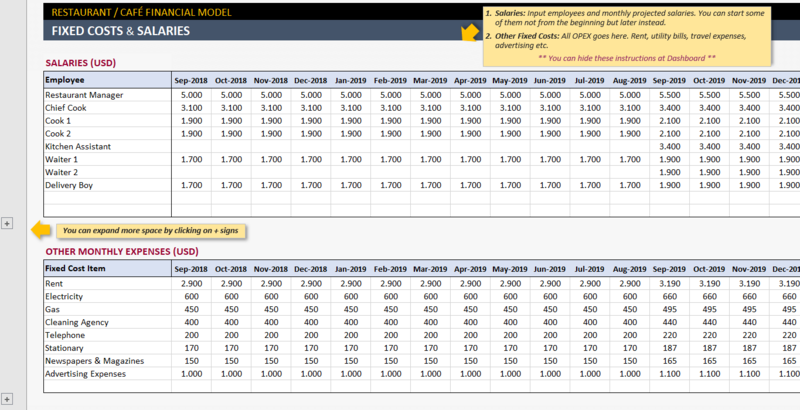 While filling this section keep in mind that salaries and fixed costs may increase by time. 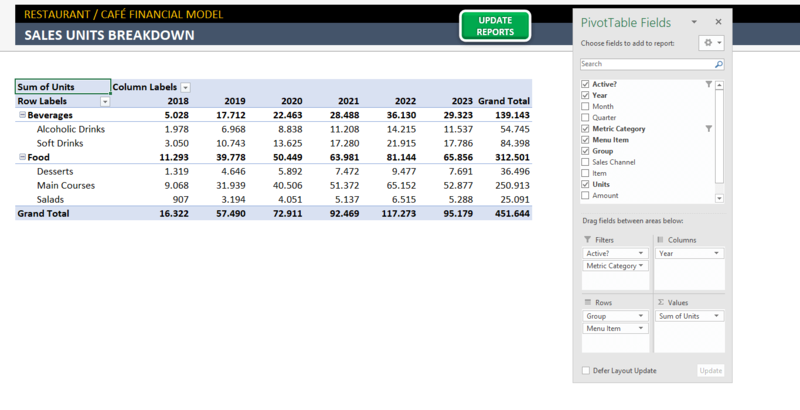 So keep an eye on Restaurant Financial Plan output reports to help you decide on these increases. Start-up Costs: Start-up costs are more than furnishing, spoon or plates. It requires careful planning and estimations and it is essential for the output results. 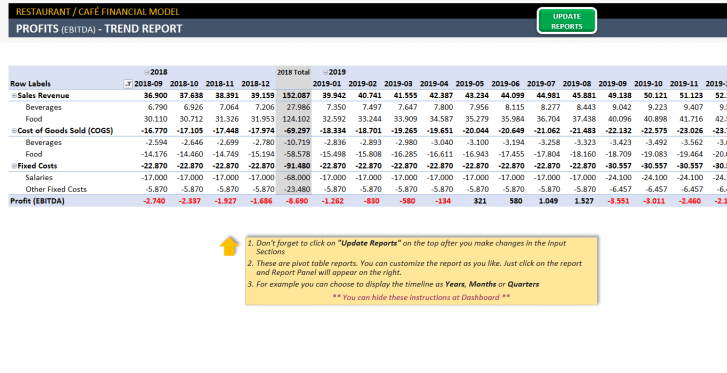 Therefore, if you want to find an answer for “When my restaurant will start to gain profits?” calculate your start-up costs and input here. Later on, it will appear on the Breakeven Analysis. For the sake of simplicity, we ignored amortization and depreciation in the Breakeven Analysis. So, if you have a significant amount of fixed assets and want to include depreciation, you can deduct them from monthly expenses. 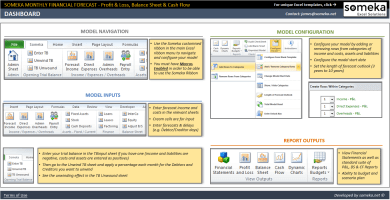 Organized financial models are built from top to bottom. 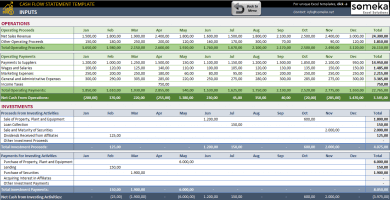 The Restaurant Financial Plan Template provide monthly statements that flow into annual summaries easily. Most of the variables come from the results of your assumptions. Every gray cell is automatically calculated by values. So the only place you should type manually is white cells. 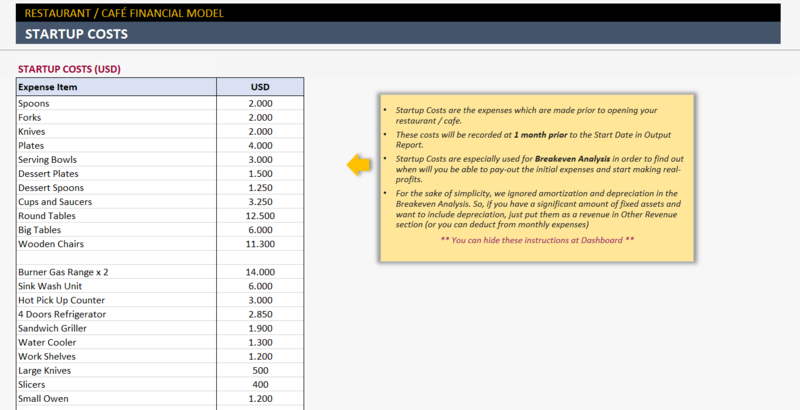 It helps you to make your analysis with various price and sales volume scenarios yearly, quarterly or monthly. 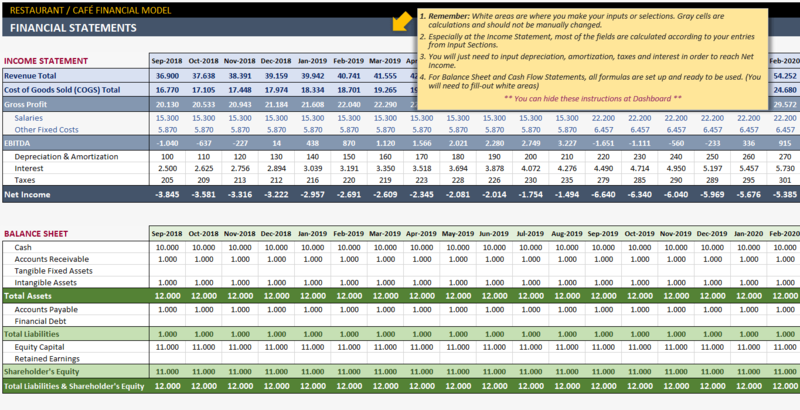 After that, you can manage your budget assumptions in order to get to the positive side of break-even. Finally, the Data Source is the section that consolidates all data and inputs of your restaurant financial plan. We do not recommend you to make any manual changes in this section. 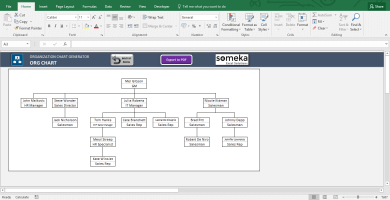 However, if you are comfortable enough to modify the file structure, you can edit this section to create much more customized reports with your data. It’s too complex I don’t have such a big data to fill in. Would appreciate a simpler version. 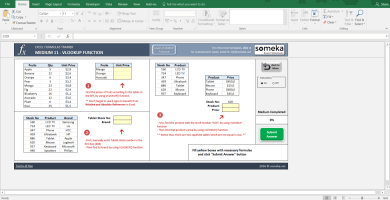 If you have business you need these worksheets from here! Highly recommend. I was struggling to my own financial plans but got help from this template. Both comprehensive and easy-to-understand. Great plan! Very comprehensive! Thank you! Very glad this model is available! This one saves me lots of tedious calculations, and it really does simply finding my achievements by giving all the outputs that I’ve never thought before. Thank you Someka! 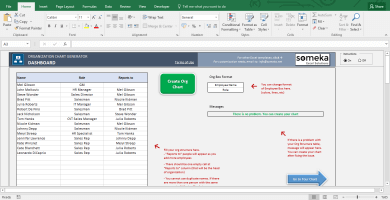 this spreadsheet is multitude! In startup phase, i can’t comprehend all these financial terms. I can see that, it has good amount of details but would prefer a basic version. Maybe that’s just me though. 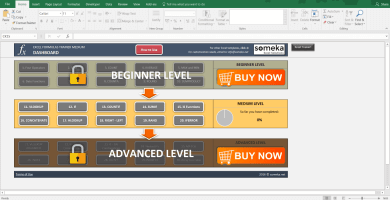 Just before a few days of my final pitch I started to use someka’s restaurant template. Wish I found it earlier. The template is very well designed. Teachers, friends love it. Really appreciate. Financial things is getting on my nerves! I am a restaurant owner and template was quite helpful. Some parts were so easy to understand but some of them were a bit complex for me. Team was very supportive. Thx! Having’ hard time figuring out when my cafeshop profit will be reasonable. This template does a good job to remind what should i consider. 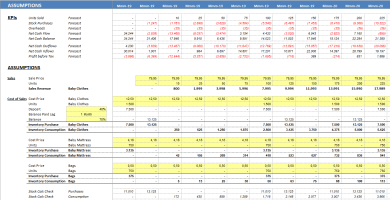 Calculating my gross margin, future sales and breakeven analysis point out lots of things to me. I had a few technical issues but service provider was great to solve either.